Theory of pawn breaks explained! What is a pawn break in chess? In most cases, a pawn move is only called a pawn break when the moving pawn is on a file adjacent to two enemy pawns facing each other, and the pawn moves forward to the same rank as the player’s other pawn. Since a picture is worth a thousand words, let me explain it with a puzzle. In this position, White could break Black’s pawns by playing either f5 or c4. So in simple words, pawn break is a method of breaking a pawn structure. “The pawns are the soul of chess” said, Philidor. Indeed, they are. The pawn structure determines the strategic nature of the position. We usually compose a plan in the middlegame, taking into account the structure of our opponent’s pawn, right? For instance, in a closed position we aim for a breakthrough (pawn break) or aim to enter into his camp with our knight maneuvers. While in an open position, you try to coordinate your pieces to the maximum effect and attack the target. Most chess players struggle in this area. 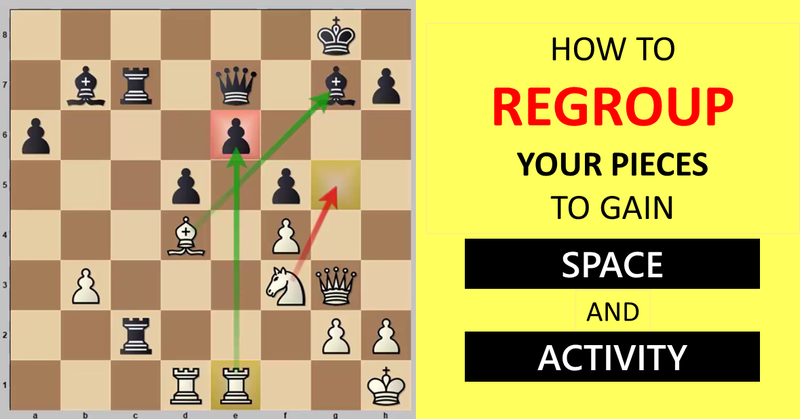 They often fail to realize the transition that occurs between the opening and middlegame stage, and end up playing ‘automatic’ moves during this stage. As a result, they get punished for their moves without real purpose. Asaf Givon is an International Master from Kfar Saba, Israel. His age is 22 and playing chess since 7. He is also playing for the Kfar Saba team in the first Israeli Chess League. He got the IM title in 2013, and ever since then, he is on the road to achieve the GM title. He currently has 2 norms. He is teaching chess since he was 16 and he’s always very happy to teach people and to spread his love to the game. I loved this video. If I may, I saw a better definition of pawn breaks once. I forget who said it. Could have been Silman who likes to quote other famous masters, and may have originated with Hans Kmoch. Anyway here it is: “A pawn break is a move by a pawn attacking at least another pawn, in which forces the change (Hopefully favorable) of the pawn structure.” In this case I believe this definition also fits very well with the lecture.As always I love the material that comes from this source. Thank you! I do not find the pgn file here. how do I get it? Unfortunately, we do not have the PGN for the games shown in the video. Hi Igor! 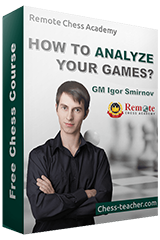 In your courses GM Secrets and Calculate till mate you said that when we decide which move should be the best according to strategy principles, we should then calculate concrete variations to prove that the following of base principles is the best. Why should we do that? I mean, if we dont have any certain tactic, and if our opponent cannot execute any dangerous threat/tactic then why shouldn’t we just follow the principles without extra calculation? In general, we always need to think both about general principles and specific variations. However, as you stated, in positions when there’s no direct ‘contact’ of your and opponent’s pieces – there’s no need for many calculations. In this case you may simply perform the ‘anti-blunder check’.